Showing 40 of 419351 results that match your query. 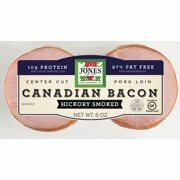 Product - Jones Dairy Farm Center Cut Hickory Smoked Canadian Bacon, 6 Oz. Jones Dairy Farm Center Cut Hickory Smoked Canadian Bacon, 6 Oz. Product - Jones Dairy Farm Boneless Hickory Smoked Ham Steak, 7oz. Jones Dairy Farm Boneless Hickory Smoked Ham Steak, 7oz. Product - Jones Dairy Farm No-sugar Center Cut Hickory Bacon, 8 Oz. Jones Dairy Farm No-sugar Center Cut Hickory Bacon, 8 Oz.